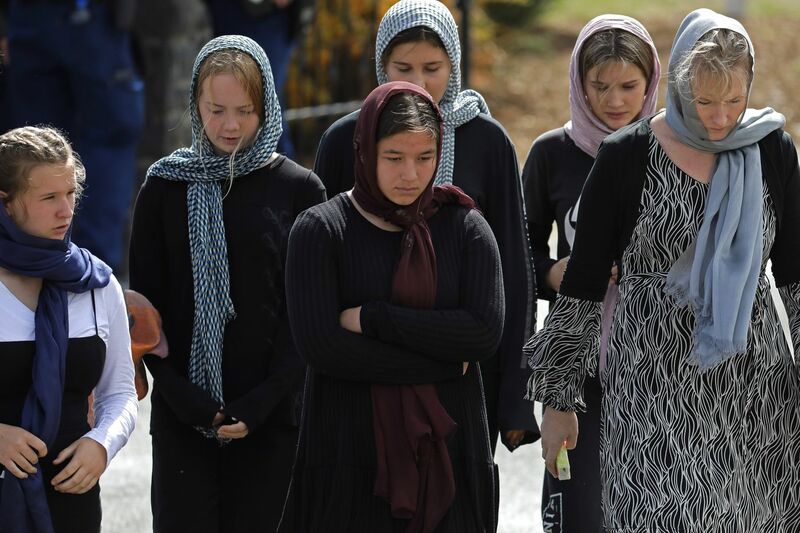 CHRISTCHURCH, New Zealand (AP) — Prime Minister Jacinda Ardern announced an immediate ban Thursday on semiautomatic and automatic weapons like the ones used in the attacks on two mosques in Christchurch that killed 50 worshipers. “Every semiautomatic weapon used in the terrorist attack on Friday will be banned,” she said. Cashmere High School student Sayyad Ahmad Milne, 14, was known as an outgoing boy and the school’s futsal goalkeeper. Tariq Rashid Omar, 24, graduated from the same school, played soccer in the summer, and was a beloved coach of several youth teams. Meanwhile, preparations were underway for a massive Friday prayer service to be led by the imam of one of the two New Zealand mosques where worshipers were killed. Imam Gamal Fouda said he is expecting 3,000 to 4,000 people at Friday’s prayer service, including many who have come from abroad. He expects it will take place in Hagley Park, a city landmark across from Al Noor mosque, with members of the Linwood mosque also attending. Ardern said Thursday the government is working on a large-scale buyback plan to encourage owners of now-banned weapons to surrender them. She did not say what would happen to those who violate the law.